The G-Clefs were formed in 1952, in Roxbury, Massachusetts, as the Bob-O-Links. 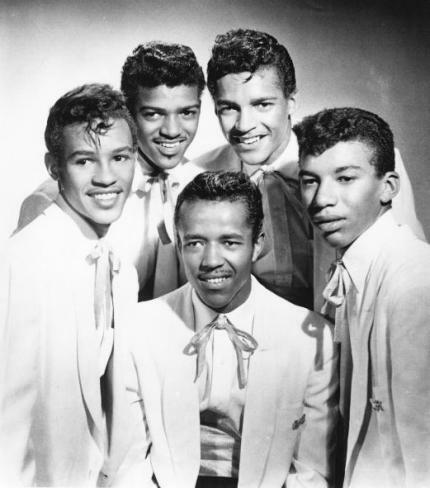 Four of the five members were brothers : Teddy, Chris, Timmy and Arnold Scott, born between 1937 and 1940. The fifth member was a friend and neighbour, Ray Gibson. 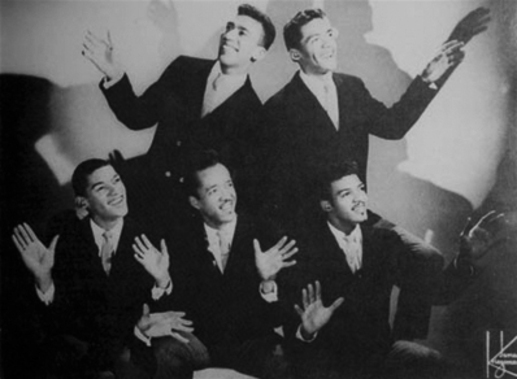 Influenced by the Drifters, the Five Keys and the Dominoes, the group had its first gig at a roller skating rink in 1953. Always musically active, in the years between 1953 and 1956, they ran their own dances, renting a hall for $ 50 a night, selling and collecting tickets, and performing. In 1956 they were discovered by Boston producer Jack Gold, who was A&R man for the local Pilgrim label. 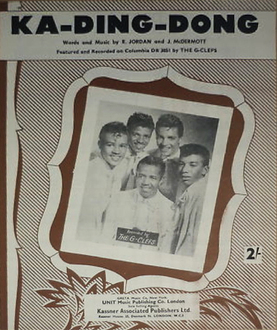 Their first release was "Ka Ding Dong", a song they had already been performing since 1953. Allegedly, the guitar solo was played by 16-year old Freddy Picariello, the later Freddy Cannon. 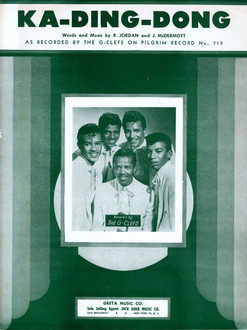 "Ka Ding Dong" was covered by the Diamonds and the Hilltoppers, whose versions also made the Top 40, but the G-Clefs had the best-selling version, peaking at # 24 pop in September 1956 (# 9 R&B). In late 1956, Jack Gold decided to start his own label, Paris Records, located in New York. As the G-Clefs were under a personal contract with Gold, he took the group along with him to his new label. They had two unsuccessful releases on Paris in 1957. There were several appearance at the Apollo in New York and in April 1957, they became part of Alan Freed's Easter Show at the Brooklyn Paramount. In April 1958, George Goldner announced that he had signed the G-Clefs to his Gone label, but nothing more was heard of that supposed partnership and the group did not record again until 1961.This was mainly due to their propensity for street crime, each of the group taking turns in prison for assaults on policemen. 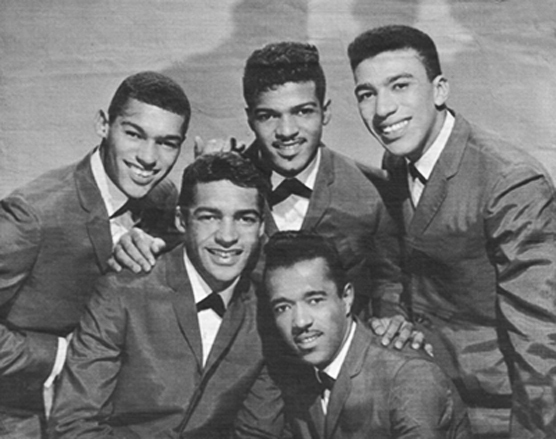 Older and wiser, they were the very picture of innocent virtue on their 1961 comeback hit "I Understand". Jack Gold was still at it, with a new label called Terrace Records. He managed to get the group back together again. "I Understand" had been a # 6 pop hit for the Four Tunes in 1954, but the G-Clefs gave it their own stamp by singing a second melody in the background, "Auld Lang Syne". The record went to # 9 in the US and # 17 in the UK, where it was released on London HLU 9433. Though this was their biggest hit, it almost ruined them. The group sounded white and had trouble getting work because of that. 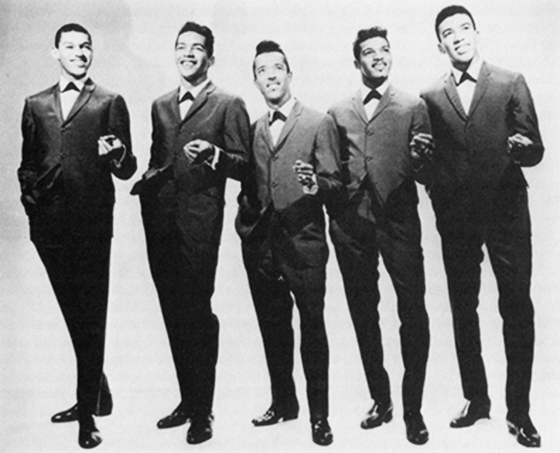 The G-Clefs had one more chart entry on Terrace, with "A Girl Has To Know" (# 81, 1962). After five Terrace singles they had releases on small labels like Regina (1964), Veep (1965) and Loma (1966), but musical tastes had changed enormously by then and sales were negligible. 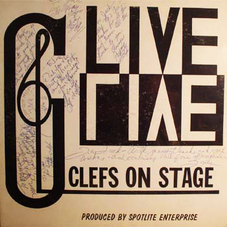 In 1967 they recorded a live album, "The G-Clefs On Stage", which they released on their own Spotlite label. The spring of 1968 found them on their first European tour ; the second was in 1970. In the 1970s they were still very active, but for most of the 1980s the group was dormant. They picked up again in earnest in the 1990s and have been out there ever since.